Day 1: About 10 to 11 AM, arrive in Nagycenk situated near the Austrian-Hungarian border. Here you will meet your Hungarian horse-breeder guide. 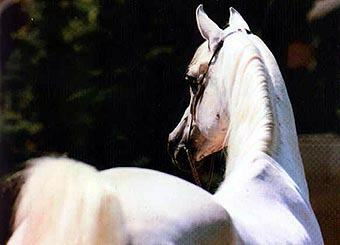 Guests can visit the imported stallions here. Lunch in the restaurant of the beautiful Széchenyi Castle. Drive to Budapest for dinner and overnight in a luxury hotel. Day 2: Following an early breakfast, guests travel to Hortobágy located in the world-famous Hungarian "Puszta" or Great Plain. Lunch in the romantic and traditional Csárda Restaurant. Stud visit with professional guide. Here guests can see the Nonius stud. Dinner and accomodation in Debrecen, the second largest town in Hungary. Day 3: Drive to Bugacpuszta which is also called the Little Plain. Lunch in the romantic Karikás Csárda. Stud visit with professional guide. Bugac, according to tradition gives home to the half-breeds. Dinner and accomodation in Kecskemét (35 kms). Day 4: Today's program is a visit to the Rádiháza Stud, located in the southwestern part of Hungary. Lunch in Rádiháza, then a professional visit in the stud. Here guests are informed about the breeding of trotting and sport horses. Dinner and the night in Nagykanizsa (30 kms). Day 5: Today, our guests are entertained with some spectacular sights of the Balaton Highlands. Sight-seeing in Keszthely, the baroque-style town on Lake Balaton (the largest lake in Europe). A visit to the baroque Festetics Castle. Lunch in Badacsony, famous for its wines. Visit the lakeside Tihany Abbey in the afternoon. Dinner in Nemesvámos accompanied with a folklore program with unlimited consumption of wine. 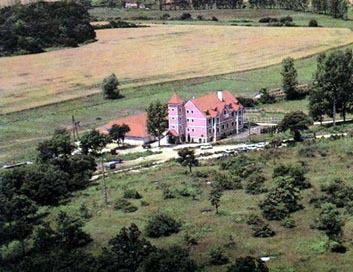 Accomodation in Pècsely (5 kms from Tihany) in the beautiful Csikós Riding Court (shown here), which was renovated and transformed from an ancient mill.